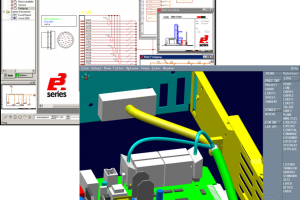 E3.logic is Zuken’s complete and open CAD solution for the creation of circuit diagrams used in electronic design. It provides opportunities to directly integrate E3.series modules with the Zuken CADSTAR PCB Design system for complete system-level integrated electronics and electrical design. Full integration with your cable design via E3.cable. Integration of the electronic and electrical design. Easy integrating with MRP, ERP, or PDM systems. Support of multilingual diagrams, multilingual text, and Unicode. Reduces time spent searching for existing parts. Integrates easily with specific MRP, ERP, or PDM systems. Works with databases that comply with Microsoft’s ODBC standard. E3.series database supports: MS Access, MS SQL-Server and Oracle.